During our buy trip to Vegas last week, we met so many incredibly, talented people. As we were scouting the Pool Trade Show, we stumbled across this group of artists from Art Skool Clothing, and were immediately drawn to their charismatic energy and love of art. After bonding over designs, we found out they too are from Orange County, grew up in Anaheim and currently live in Yorba Linda and LA. Such a small world. 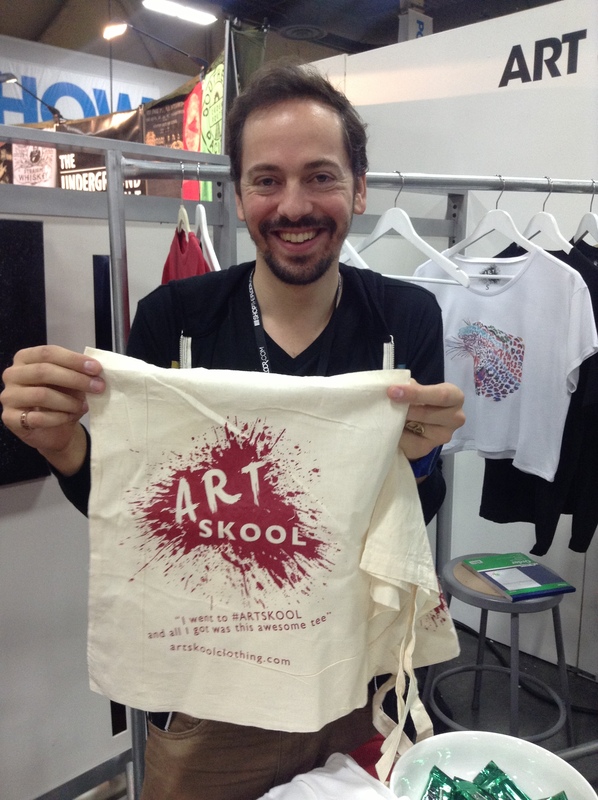 The artists take their own original pantings and transfer the images onto fashion T-shirts and totes. The T-shirts are not your basic Tees; they are cropped, slouched, off-the-shoulder and boast beautiful creations. They offer limited runs and the work speaks for itself. It’s such a fresh take on fashion. And, since we participate in The Fullerton Art Walk every month, we’re trying to “woo” them to make a special guest appearance at Roadkill Ranch & Boutique for one of our shows. After all, they are locals. Wink! 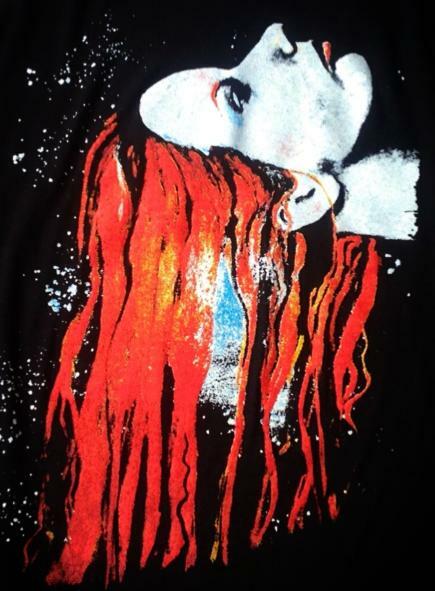 Check out their website for awesome wearable art at http://www.artskoolclothing.com and stay tuned with Roadkill Ranch & Boutique for upcoming info about fashion and the arts. Pictured left to right is Eric La Barr, Jay Costelo, and Natalie Marie Ames. We love this energetic, passionately, creative team and wish them tons of success.